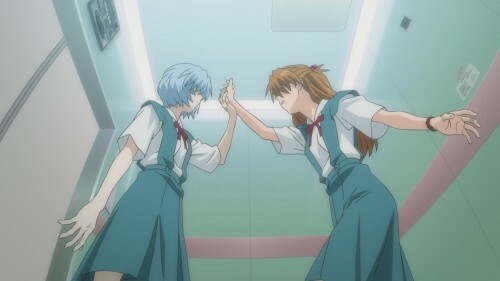 This entry was posted in anime, blogging, fandom, giant robots, review, thought exercise, trends and tagged evangelion 2.22, neon genesis evangelion, rebuild of evangelion. Bookmark the permalink. ← What Do You Mean Not All Anime Involve Philosophical Discussions? I thought the dinner was a nice touch and it’s good that you spoke of it in those terms. Our (mine and otou-san’s) discussions on this matter (on THAT Anime Blog and We Remember Love respectively) tend to focus on changes in Shinji’s behavior (towards being more proactive perhaps, but we are uncertain). In any case I think neither of us think Rebuild is superfluous or lacking of merit. The fact that we’re asking ourselves whether we prefer it over the original TV series speaks much of its merit. Oh wow… someone made a post about 2.22 and actually paid attention to the movie. EVA 2.0 (and 2.22) is the first action anime that I watched in the cinema. Being an EVA fans for over 10 years. Rebuild does refresh my mind with new story developments and exciting battles. Maybe the original series have slower pace, so I like how the 2 girls in the movie “fight” over the boy they liked, how Rei become more feminine and Asuka open her hearts. There were two things I took away most from this second film. The most important of which is the idea that once one person steps forward (in this case Shinji) everyone else can move. In many ways it’s very true to life, someone has to make the first move. It furthers the idea of how connected everyone is, whether they know it or not, and how each is paying attention to the actions of others. Second, there is a big, BIG difference between wanting to fight and not wanting to be stagnate. Shinji does not turn into a hot-blooded robot pilot at the end of the film, he just refuses to do nothing. I felt his mindset to be: even if I can’t save Rei atleast I know I did all that I could. It is more about him not being idle than saving the day. Narutaki the thing is, at around episode 19, Shinji pretty much does the SAME thing. Basically, Mari’s speech replaced Kaji’s on the watermelon patch, but otherwise Shinji runs back the same way, confronts Gendo the same way, and pilots Unit 01. We are so conditioned to think of Shinji as a wimp that we forgot that this moment had always existed. Well, it could be that we forgot because Shinji didn’t become the hot-blooded pilot that this moment indicated he would become. 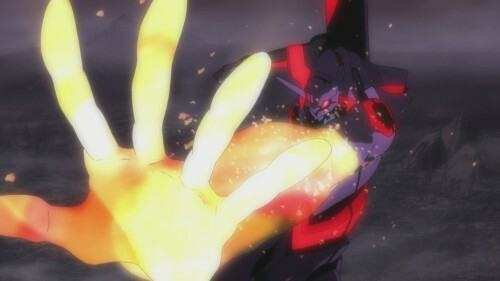 And Rebuild may just smash Shinji once again for some delicious cruelty. I found the scene similar but not exactly the same. There is a different sort of will at work that stems from the minor steps taken in the film previous to that moment. 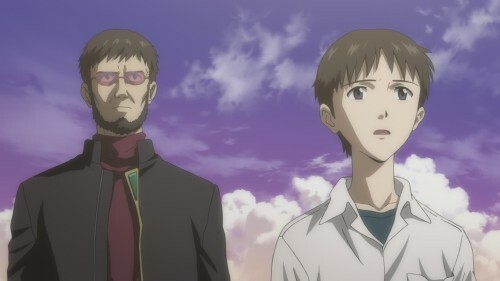 Shinji is already a different character from his TV counterpart when he approaches Gendo in the film. His decision seems more thoughtful than impulsive and because of that the next scenes play out very differently. Interesting…I’ve read a couple of reviews of this film that are really negative, and some that are positively glowing with admiration for it. More often than not, they boil down to that question of whether it’s about the hindsight or the merchandise profits you mention. I tried to avoid thinking about that, but still came away with mixed feelings over the film. I have to say though that your arguments here make a lot of sense, and taking the observations you’ve set out here into account, I’m a little more forgiving towards it. I felt it placed too much emphasis on moving the story along to each successive battle and skimping on characterisation in the process. Which was a shame, because I appreciated the character study of the story above all else and the first Rebuild film seemed to be on the right track in that regard. The visual spectacle can be distracting I think – hell, I watched the movie twice, thought “wow, this looks amazing!” but still thought it was missing something important. How that ‘something’ has eluded me not once but twice, I don’t know! My conclusion in the end was that it’ll all come together when I’ve watched the concluding movie(s) and can make a judgement on the entire thing, as opposed to jumping to premature conclusions.